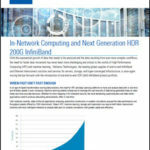 In today’s markets, a successful HPC cluster can be a formidable competitive advantage. And many are turning to these tools to stay competitive in the HPC market. That said, these systems are inherently very complex, and have to be built, deployed and managed properly to realize their full potential. A new report from Bright Computing explore best practices for HPC clusters. This insideHPC guide series explores how artificial intelligence is revolutionizing and evolving the media and entertainment industries. To get things started, this post offers up an overview of how AI is impacting the entertainment industry and the future of these sectors.